Since I'm a relative newbie (<1 yr on Linux), was wondering if any of you had opinions on this. What Linux OS is most like Chalet..? but I'm looking more at the performance level. Hey JeffK...i think what sets ChaletOS apart from most Distros is the style changer. I don't understand why other distros don't install that option as well. 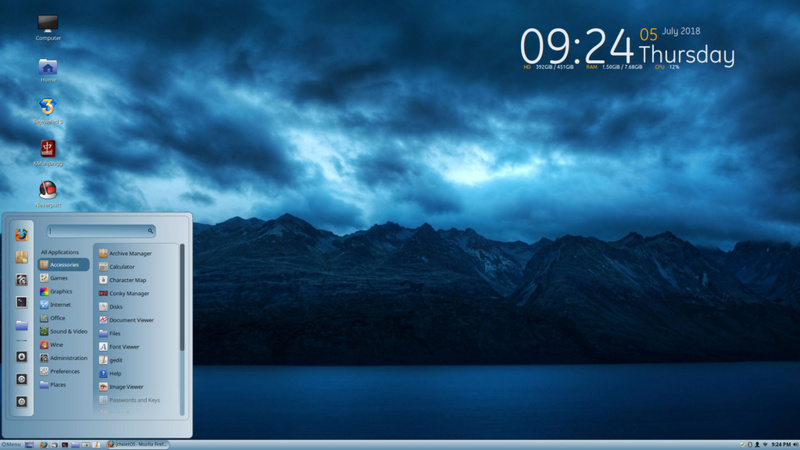 As far as other distros similar to ChaletOS , most XFCE distros are close, apart from the style changer. Myself, i have moved on to Mint (Cinnamon), and there are lots of themes available. Good luck finding something that suits you. Thanks Dits. I have Mint 19 XFCE on my machine, used it to replace Chalet (which ran so much better than Windows 10 did on my Dell). Also have Cinnamon on an old Gateway that replaced Vista. I really do like them both, but, it's hard to explain. Maybe it's in my mind, but I truly believe Chalet ran smoother, functioned better, and obviously looked better..lol. The little video down loader was awesome too. Chalet to me, was the best I've used. As far as my PC experience, Chalet and XP were the best 2 OS's ever. Mint is very close, very. Anyhoo, Thanks for taking the time... Hope you're enjoying Mint too. I use Cinamox-Heather as well... Great minds...lol.. I also do like that wallpaper you selected..